Some time ago, there was a small café in Newport, RI, called Cappuccino’s. It seemed that I enjoyed their pasta salad for days on end and eventually deconstructed it to develop a similar recipe. This has become a summertime favorite in my family. We’ve already made it twice this spring. Cappuccino’s signature pasta was a curvy twist. My preference is Ruote (also known as Wagon Wheels). Another favorite is Festoni. In a pinch, I’ll select Penne e Ziti Rigati or even Gnocchi Sardi. As recipes go, this one lacking in specifics. A little more or a little less of each ingredient will be fine! You’ll be busy chopping so this is a great recipe when you have an extra pair of helping hands. My daughters are a big help for this recipe! 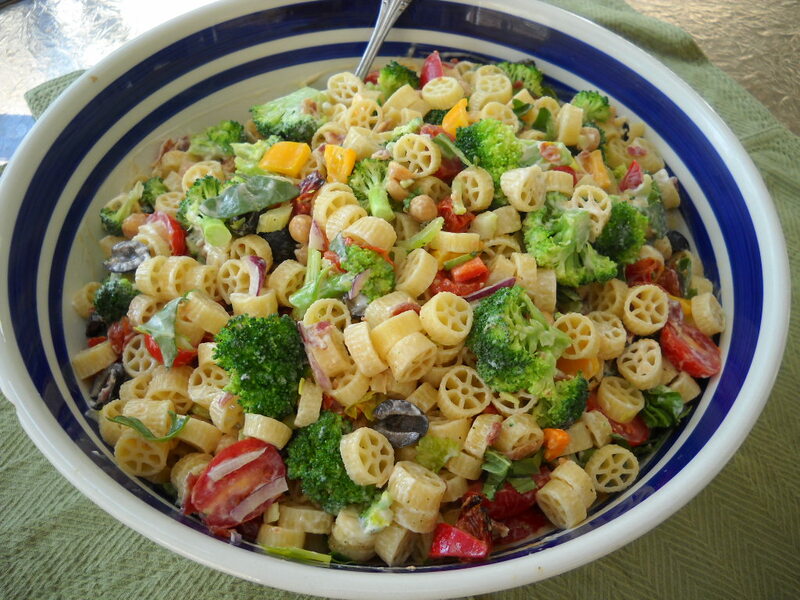 You’ll need to have a very large pasta bowl for this abundance of goodness! Fill an 8-Qt pot with water and heat to boiling. Begin chopping vegetables! Add pasta. While pasta is cooking, microwave the broccoli and cook the bacon. If you are really fast you can get all of the chopping done before the pasta has cooked. Drain the pasta while still al dente and rinse to cool the pasta. In a large bowl, mix all ingredients. Add more olive oil as needed. If you like your salad to be a bit creamy, stir in mayo. Chill before serving. My passions for Italian food and culture are carried forth in any number of ways. I visit every “Italian store” I can find (often comparing it to the store of my childhood, Bari Imports, with its barrels of baccala). If I find olive oil in the back corner of a gourmet store, I will engage the proprietor in a conversation about the oil. Sometimes I will reveal my role in the business. Sometimes not. (Yesterday when visiting a store I found a 2009 (!) priced at $39.95 for 500 ml. I shudder to think how many remain in the back room). In the guise of research, aka surfing the web at work, my passion for Italian food leads me to seek Italian recipes with a theme. Currently, that theme is Biscotti. No long ago we posted Nona’s recipe in a recent blog post. And we are currently enamored with these two recipes found on Serious Eats and Domenica Cooks. 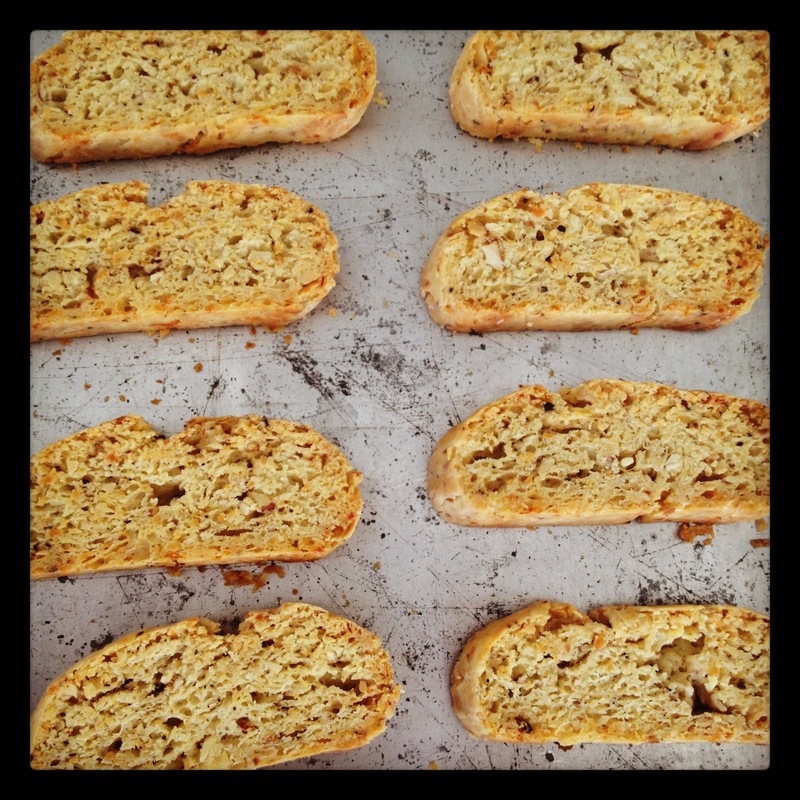 The Lemon, Olive Oil, and Almond Biscotti recipe nicely references using a Sicilian Olive Oil. Full-flavored Sicilians such as Titone, Planeta, and Zisola Extra Virgin Olive Oil have the characteristics –a perfect match for these biscotti. (Titone was also recently featured in our blog post on Organic certification). 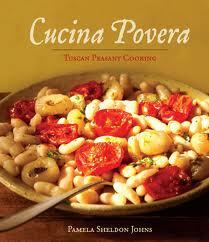 Must confess to making these with a Tuscan oil, Poggio Etrusco from Pamela Sheldon Johns’ Tuscan estate. Rich, toasty, and crumbly, the lemon biscotti, provide for a fresh break with morning coffee or later, with tea! Another fabulous choice: Domenica Marchetti’s Cheese Biscotti are perfect with a salumi platter or a light soup meal. I think they are divine with a rich tomato-based soup. Read the comments from others and you’ll soon be rushing off to buy her cookbooks. Hint: we have her pasta cookbook, The Glorious Pasta of Italy. As always, use the best ingredients for the best results. P.s. I’ve been munching on Mattei Biscotti di Prato while writing this post!